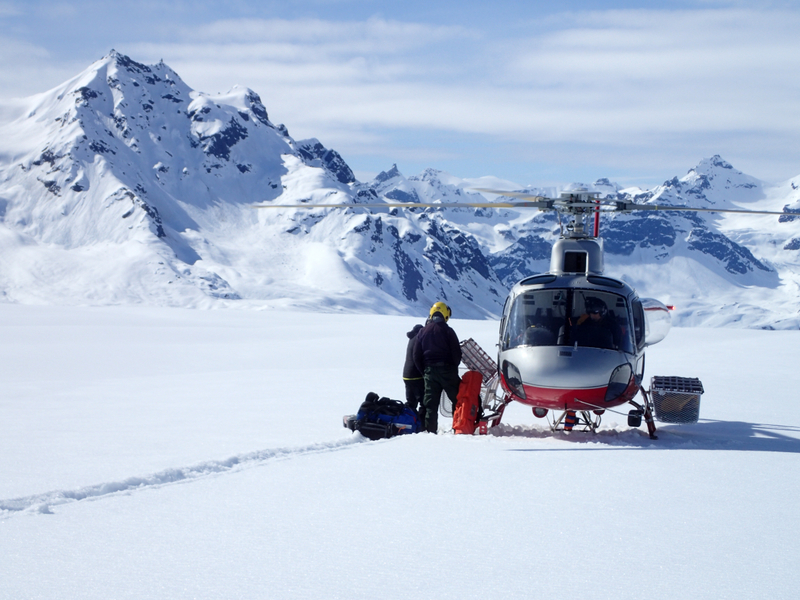 The original plan was to helicopter in and the ski/camp for a few nights while working along the way. Poor weather the first few days delayed our departure. Plan changed and we ended up doing the work as two long day trips from Talkeetna with the helicopter. I felt bad (and jealous) flying over climbers who were earning their vertical. Photo by National Park Service, Alaska Region.